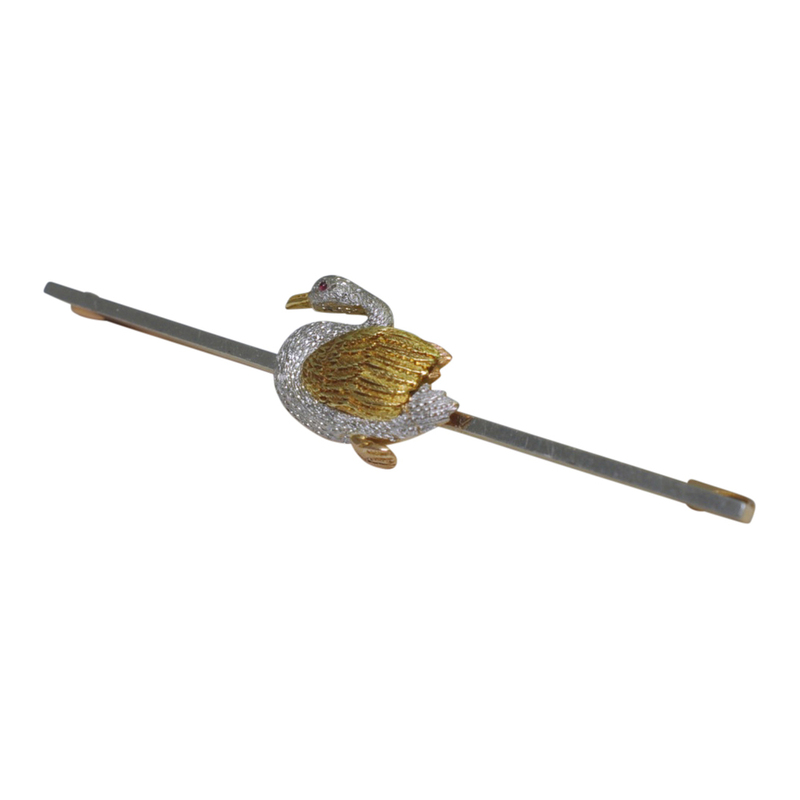 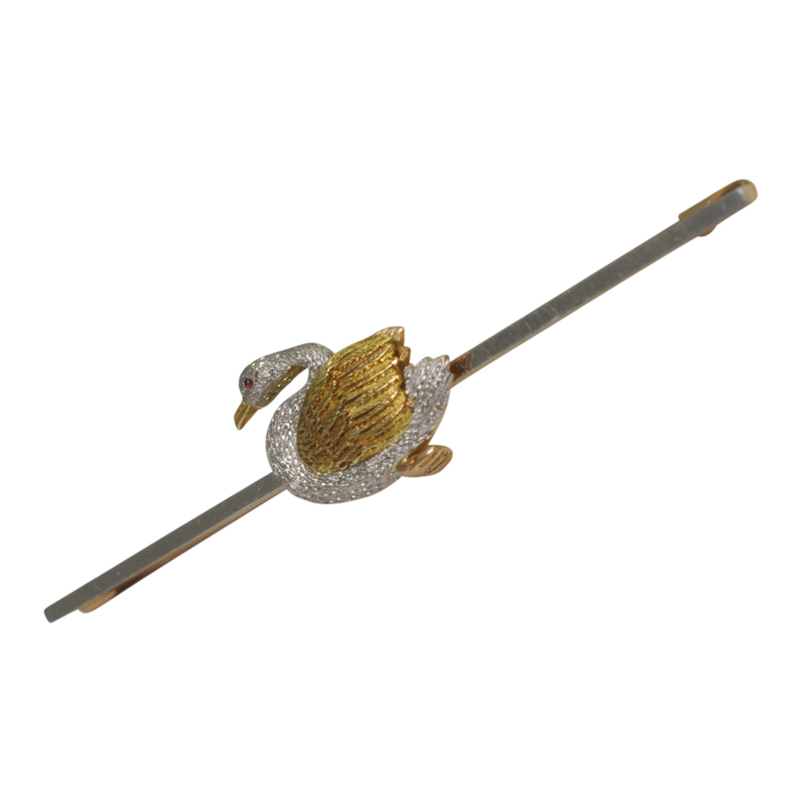 Edwardian swimming swan brooch in 15ct gold and platinum. 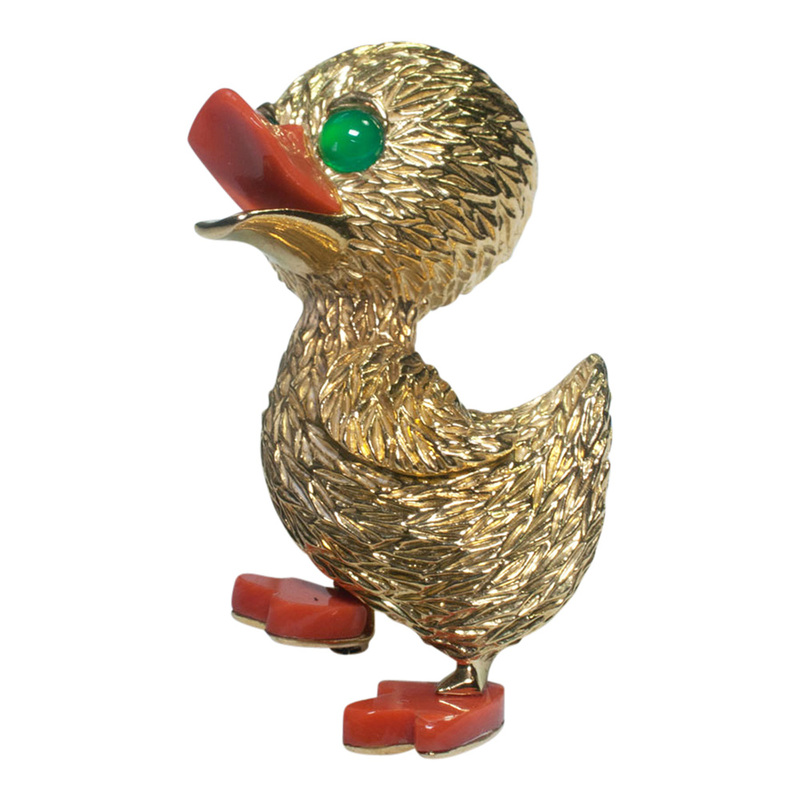 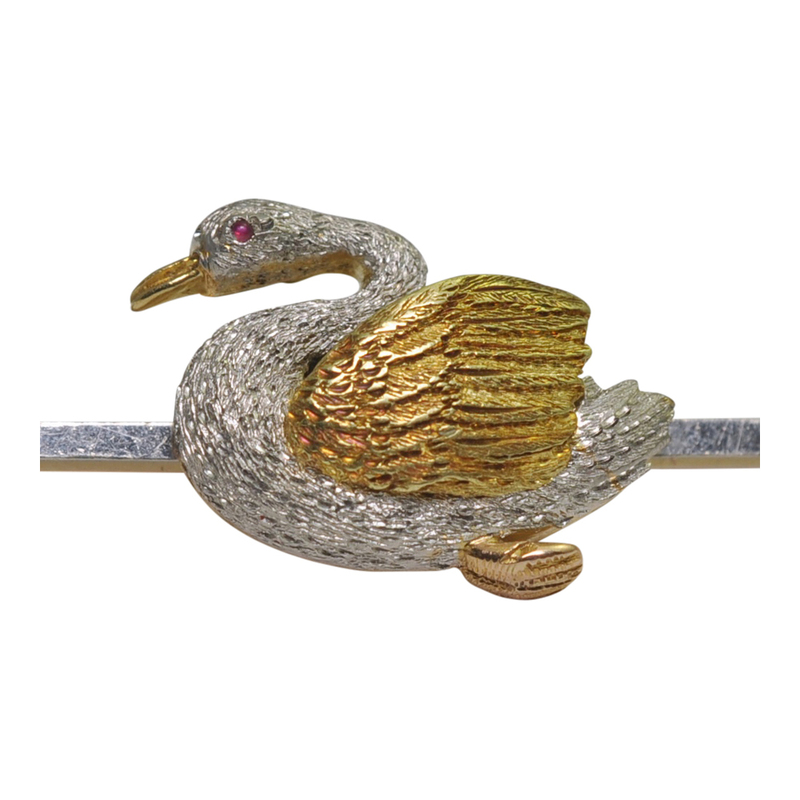 The swan has a ruby eye and is in textured gold and platinum. 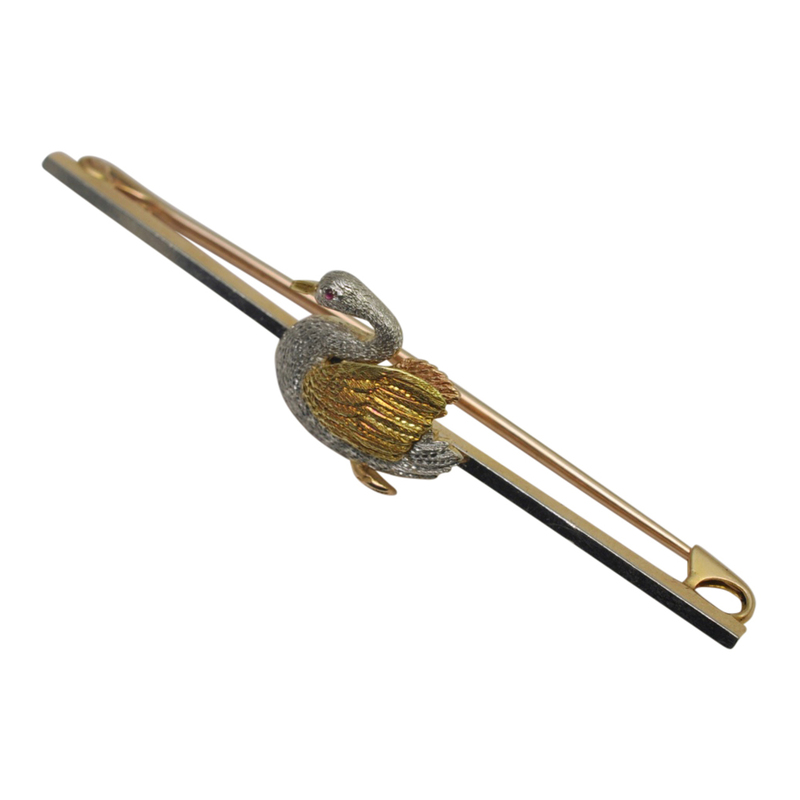 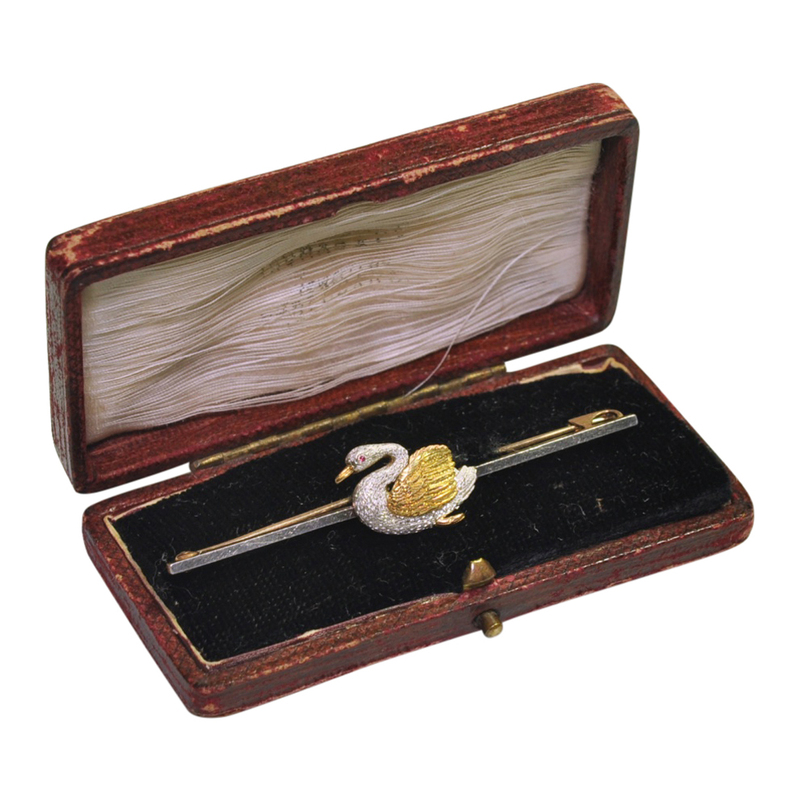 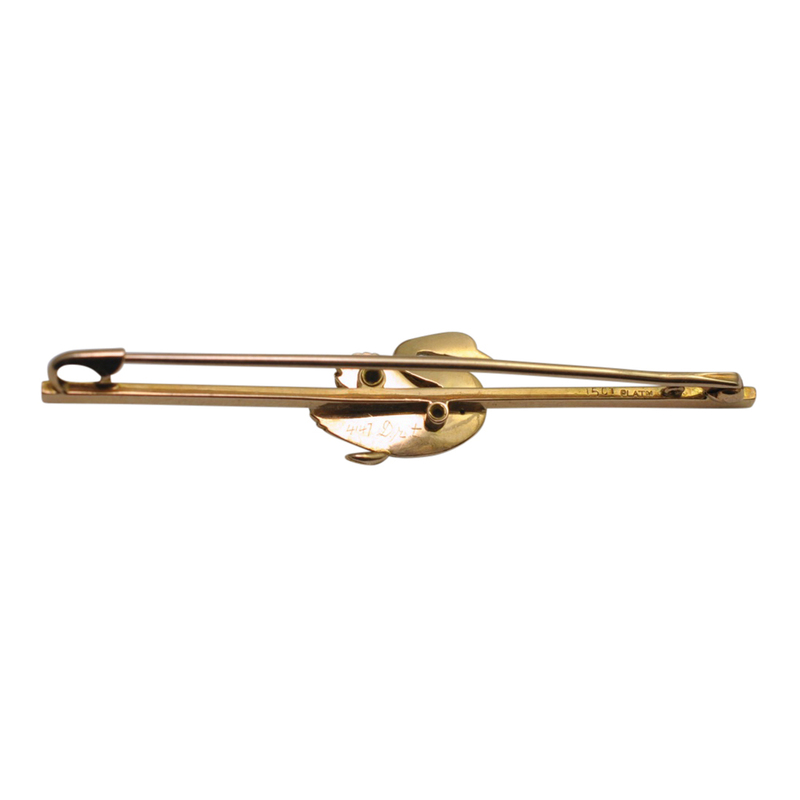 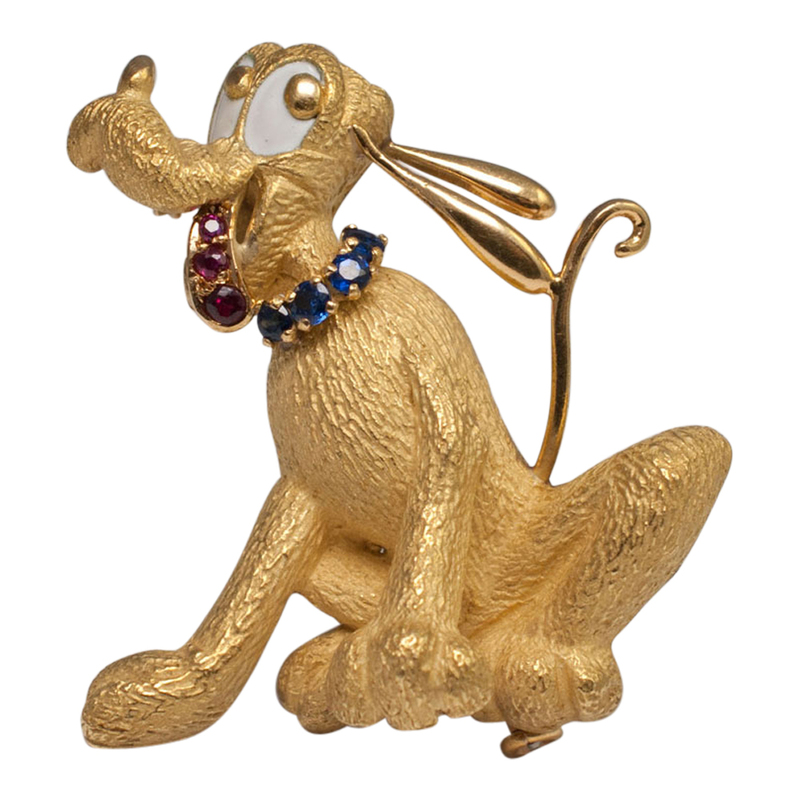 He is mounted on a gold and platinum pin and weighs 5.9gms; the pin is 6cms long and the swan measures 1.5cms wide x 1cm in depth. 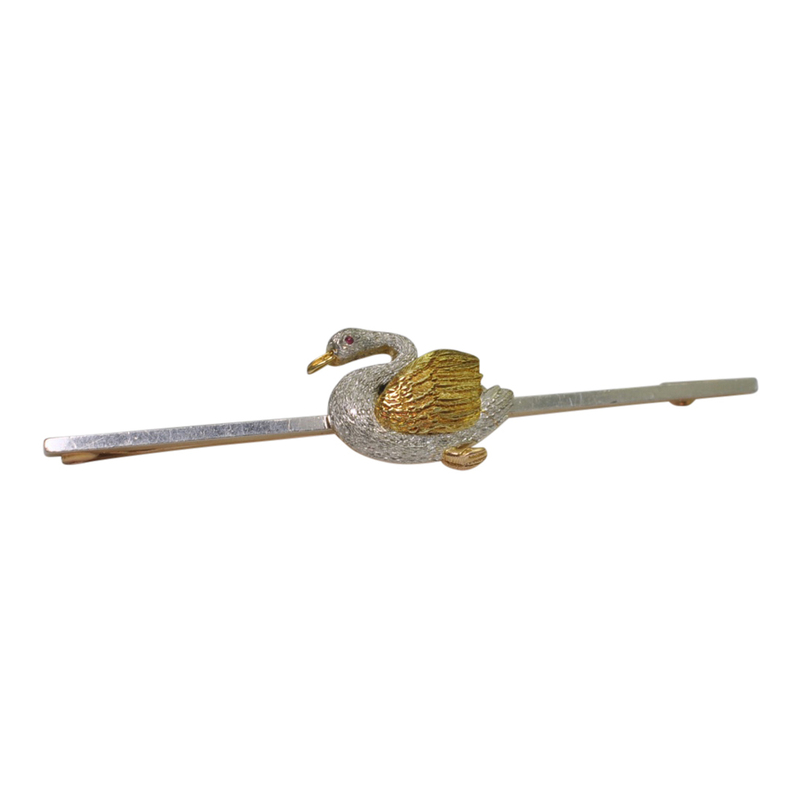 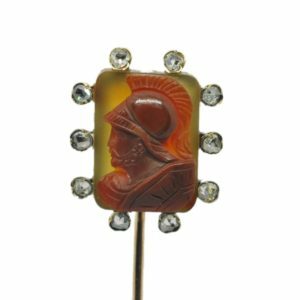 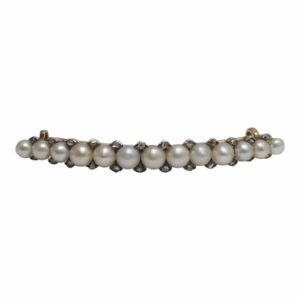 He is fitted with a pin which is in excellent working order and stamped 15ct and Plat.